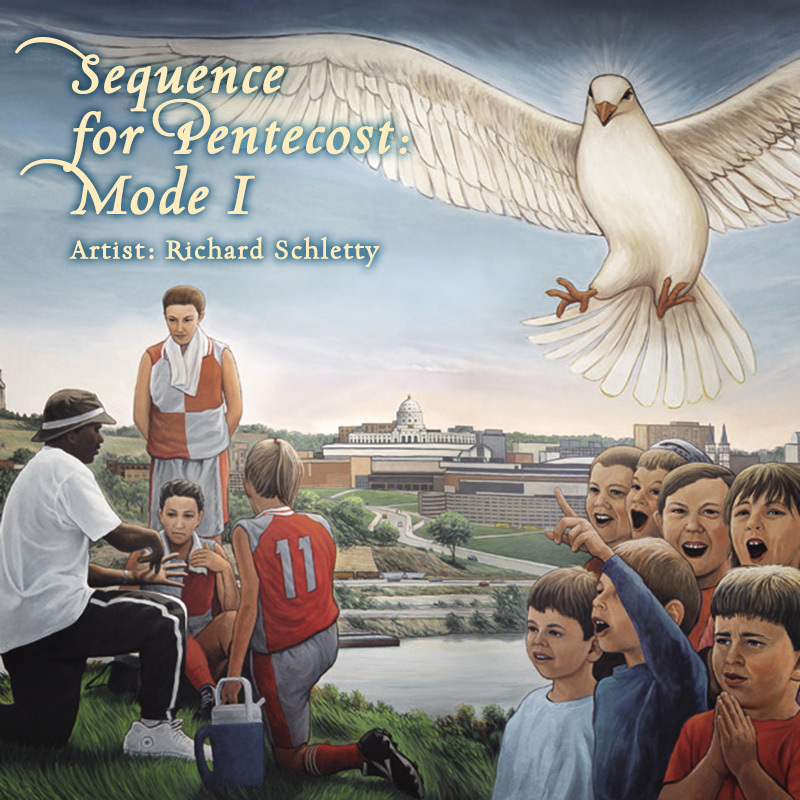 Sequence for Pentecost. Voice and 6-string nylon string guitar performed by Richard Schletty. Text: Sequence for Pentecost, 13th Century; translated by Peter Scagnelli, © 1983. Tune: Mode I; accompaniment by Adrian Engels, © Interkerkelijke Stichting voor het Kerklied. There are two days on the church calendar (Easter and Pentecost) when the liturgy calls for a "sequence," a special hymn that may be sung or recited before the gospel. The sequence for Pentecost dates from the 12th century. This setting's text is an English translation by Peter Scagnelli. It is #981 in GIA's RitualSong hymnbook and #470 in GIA's Gather Comprehensive, Second Edition. Come, from heights of heav’n and shine. Come with blessed radiance bright! Come, whose treasured gifts endure. Come, our heart’s unfailing light! Fill your faithful through and through! Nothing thrives apart from you! Wounded lives to health restore! Guide the wayward home once more! In your sev’n-fold gift descend! Give us joys that never end!